Foot pain from driving is a very common condition, suffered by both beginner and experienced drivers. However, there are a number of reasons why you might be suffering from this kind of pain, which can make it hard to resolve. There are a few ideas, treatments and techniques that might help reduce the pain and stop any aching you might get when driving for long distances. Affectionately known as “drivers foot”, “clutch foot” or “accelerator foot”, this annoying pain can ruin a nice drive to a from work each day, or normal leisure driving at any time. Many people have cramps in their feet, feel the pain in either the heel of their foot, the ball of the foot around the big toe joint or across the top of the foot. The foot pain symptom can be worse when you get stuck in traffic or drive for long periods as you might be holding your foot in a set position for longer than usual. If you don’t have much time or don’t want to read the full article, I have summarised our recommended treatment options for foot, heel and toe pain from driving. Painful or burning heels and driving. Heel pain during and after driving could just relate to the angle you have your feet at when driving your vehicle. We all tend to rest our heels on the floor (is there any other way?) and therefore the risk of this area becoming sore or bruised is increased – especially as we rock our foot back and forth to apply the gas, clutch or brake. If this foot pain from driving still persists when you are not driving, then this is a symptom of something else, possibly heel spurs or Plantar Fasciitis. To alleviate your heel pain, try using a slightly different pair of shoes, perhaps trainers, that have a more cushioned heel area. If this does not work, use ice on the affected area regularly and make an appointment with a local podiatrist who will be able to tell if there are any underlying issues that need to be treated. A good product that might help you if you have this type of foot pain is a set of Dr Scholl’s gel heel pads that are available from Amazon. Pain in the ball of your foot when driving. This pain is more common and is usually found in the same position where your foot meets the pedal of the car. The constant pressure that you need to apply, possibly made worse by a spring that is too powerful on the pedal (so you are constantly fighting to press down) can cause conditions such as bursitis or bruising of the toe bones. Again, this symptom can be made worse by driving in poor choices of shoes – women who drive in high heels take note! – and using a more comfortable pair of shoes when driving will help. There are also gel pads or wraps (known as a metatarsal wrap) that can be put on your foot or into your shoe that will stop that particular area from hurting. These little gel pads are excellent and can make a real difference. Pain on the top of your foot or ankle pain after driving. I quite often get this pain when I have been stuck in traffic for a long time, constantly changing gear and holding the clutch at a certain angle. When you get out of the car or start to move along in the traffic again, you get a pain around the area where your ankle meets the top of your foot. This ankle pain is usually caused just through the tension of holding the pedals in certain places, or from having pedals that are too hard to push down or control easily when they return. Luckily, this pain is only temporary and usually goes away after walking around for a period afterwards. The best treatment for this is to buy an automatic 🙂 – no, seriously, the best way to get rid of this driving pain is to walk around and flex your foot and ankle as much as you can. Try not to ride the clutch too much and perhaps do little circles of your feet – safety permitting of course. If you car pedals are too stiff, take it to the local garage and have it checked out to make sure there is nothing wrong mechanically. If your feet are really bad, you can apply ice to help reduce any pain and try to also do some exercises that flex and stretch your calves and feet too. This quick video shows you some basic movements you can do with your feet – before and after your driving. Can I get tendonitis from driving? Tendonitis is a very painful problem for quite a lot of people and the constant heel-toe movement when you are using the gas pedal can give pain down the back of your ankle and to your Achilles tendon too. If you are experiencing pain in this area during or after your journey, follow the same advice as above – rest, ice, exercise the joint and if the pain is really bad, seem medical assistance from a podiatrist or doctor. Tendonitis can also occur because of having a poor diet, so make sure you are looking after yourself as best you can. Taking both protein and magnesium supplements are good for helping keep any tendon problems at bay. How do I stop my feet from swelling when I drive? If you are driving long distances, it is possible that the strain and stress you are putting your feet and ankle under could make them swollen. This is also the same if you are flying or even just sitting for a long time. Any activity can cause swelling in your legs, ankles or feet. The good news is that it is a common problem and nothing life-threatening. It is just water retention where you have not been moving lots and your cells are pooling water. You should find that once you start to walk around it starts to go away, but you can reduce the amount it happens by not drinking so much liquid on your trip and not have any salty snacks. Similar to flying, you can also wear compression socks that will help force the water back into your body and reduce the swelling. If the swelling does not go away, please seek medical attention. I don’t want to worry you with tales of blood clots, but if you have any concerns, get it checked out. Do you have RSI or RDI from driving? RSI is defined as any muscles, tendon or nerve pain caused by repetitive movements or actions. 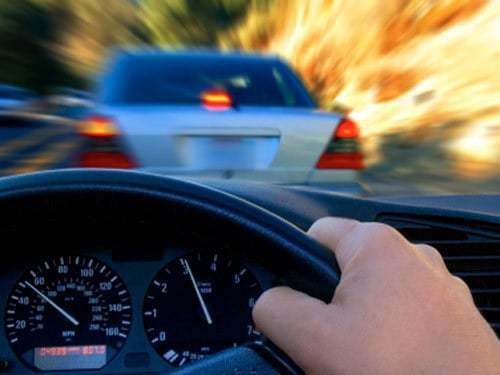 You might think that getting RSI from driving might only affect your hands, wrists or elbows but it is very common for drivers to experience back, neck, leg and foot pain as a result and this is known as RDI – Repetitive Driving Injury. A study by eBay Motors revealed that the most common RDI pain drivers suffer from is ankle cramps with 81% of drivers reporting this as a problem. The cause of this pain is most likely bad posture and seating position in the vehicle and some regular flexing and stretching will help relieve this pain. If it persists, look into adjusting your seat so that your foot is not bent at such an acute angle against the pedal. There is no medical reason why you cannot drive if you are suffering from Plantar Fasciitis, providing you are aware of any issue that may affect you whilst behind the wheel. I suffer from plantar fascia pain all the time, plus sore heels and the sudden stabbing pains can sometimes come quickly. Luckily, I am aware of when this will happen, so take care to adjust my driving and foot position which helps. As with some of the other foot problems you can get from driving on this page, wearing a good pair of supportive shoes (I use my running shoes to drive in) or using orthotics or heel pads can be beneficial. I guess this will vary, depending on your height, the size of the car and how close you want your seat to be. Everyone is different and all cars feel different too, so there are no set rules for the best seating or foot position when you are driving. What are the best shoes for driving long distances? As with everything, different people have different feet, so there is no 1-size-fits-all answer to this question. They are comfortable to wear all the time and are not too tight or too loose. You should not drive in flip-flops or shoes that can come off your foot easily. The soles of the shoes must not be too thick so that you cannot feel the pedals properly. This can make you accelerate or brake too quickly or cause you to be unaware of how much you are pressing the pedals. Do not wear shoes that have high heels, including wedge heels. You need to have your heel in contact with the floor of the car to ensure proper control. 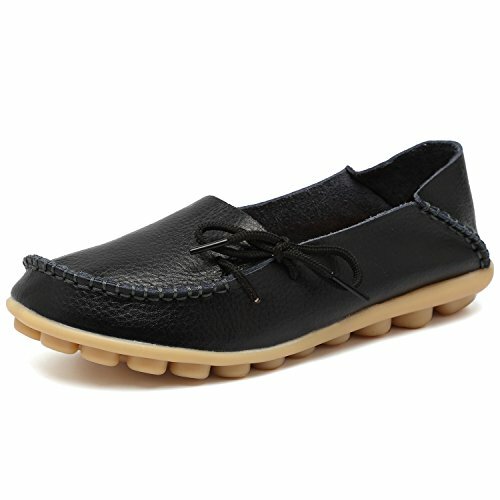 A good choice is to wear a pair of Moccasins, loafers or a good pair of trainers/sneakers. Moccasins and loafers are very comfortable and can be left in the car all the time if you are worried about how they might look. 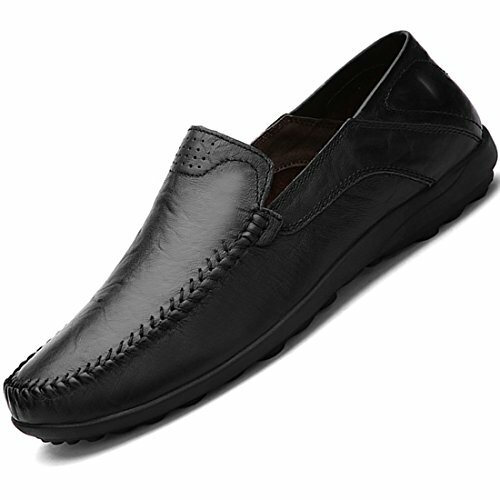 Loafers are a better choice if you want to go shopping as the sole is tougher than a Moccasin and probably won’t hurt your feet so much. Alternatively, there are some special driving shoes that look more like something a racecar driver would wear. So, foot pain from driving is not so bad after all. So, there is usually no real underlying problem with having painful feet from driving. However, issues can build up quite quickly if a real condition such as plantar fasciitis is already present. The proper steps to take care of your feet, toes and ankles would be to rest, ice and book an appointment with your doctor or foot specialist as soon as possible. Leaving the pain to develop further may lead to more severe issues, possibly surgery.